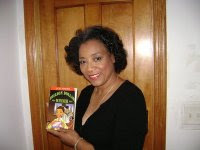 Arlene Jones - Featured Columnist Austin Weekly News: OMG! He Is Not The Baby's Father! DNA tests have revealed that a 13-year-old British boy who claimed to have fathered a child with his 15-year-old girlfriend was not the dad, according to a court judgement made public Monday. Claims that baby-faced schoolboy Alfie Patten made Chantelle Steadman pregnant when he was aged just 12 triggered national soul-searching about Britain's high level of teenage pregnancies. But the story, reported in February just days after the birth, sparked claims from other boys who lived nearby that they could also be the father and social workers organised a DNA test. The results, revealed in a high court judgement last month which was only made public Monday, showed the father was 15-year-old Tyler Barker, who lived on the same housing estate as Steadman in Eastbourne in southern England. Patten had admitted to the Sun newspaper that he had not thought about how he and his girlfriend would support baby daughter Maisie Roxanne, who was born on February 9, but said: "I will be good though, and care for it." The four-foot (1.22-metre) schoolboy was "extremely distressed" when he was told in March that he was not the father, the court judgement revealed.